. 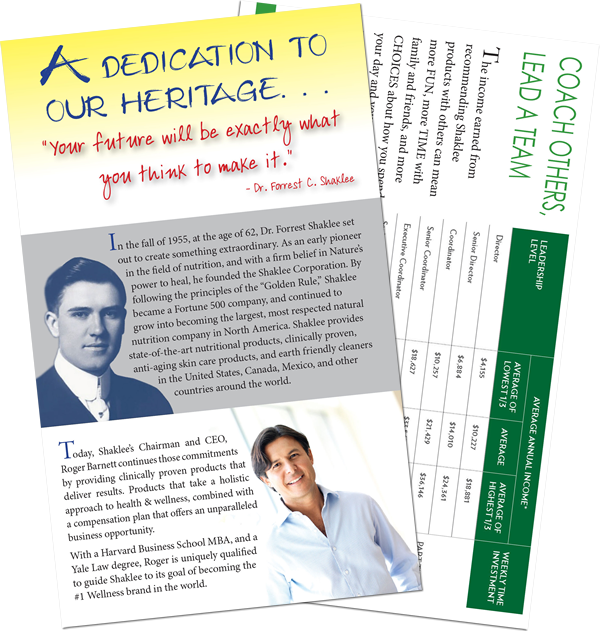 . . A full color, 2-sided bookmark outlining Shaklee’s strong heritage and some of the company’s partnerships they’ve developed over the years. If you would like to order additional sets, either to replace ones that came with your books, or simply extras to hand out to prospects, please do so below. Note: These are replacement bookmarks NOT the books (each book is shipped with one set of bookmarks). If you need to order books, click here. We are working on shipping to Canada, please contact us directly.